What is "Core Medical Knowledge?" Get Connected: Make a Difference for Health! How Are You Celebrating the PA Profession's 50th Anniversary? 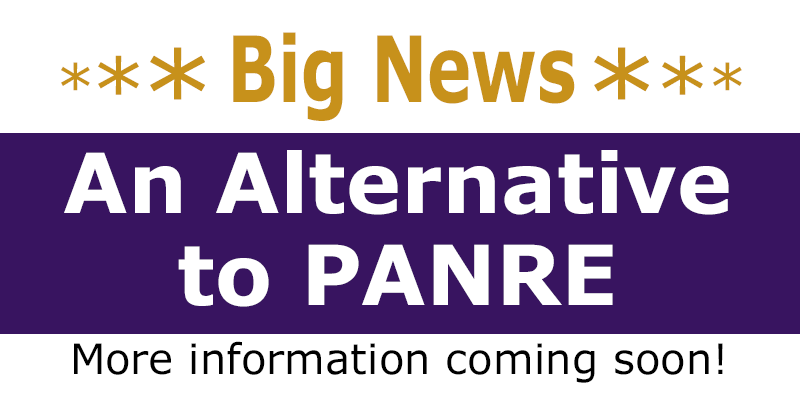 Later this month, NCCPA will announce details about an alternative to PANRE that we will soon pilot. We will share those details by email, social media and our website. Keep an eye out for that at month end! Louisiana Academy of PAs, New Orleans – Oct. 4 at 12:15 p.m.
Michigan Academy of PAs, Grand Rapids - Oct. 6 at 10:50 a.m.
New York State Society of PAs, Tarrytown – Oct. 14 at 10:30 a.m.
Oregon Society of PAs, Gleneden Beach – Oct. 14 at 11:00 a.m.
American Association of Surgical PAs, San Diego – Oct. 19 at 7:00 a.m.
PAEA Annual Education Forum, Denver – Oct. 28 at 11:00 a.m.
We post about upcoming speaking engagements on our social media sites, so be sure to like us on Facebook and follow us on Twitter, LinkedIn and Instagram. What is "Core Medical Knowledge?" Your Input is Vital! We have been working with groups of PAs on a critically important initiative to help define the core medical knowledge essential for PAs working in all disciplines. The next step in the process is a survey that will be sent to all PA-Cs. This survey is YOUR opportunity to lend your voice in that effort. It is essential that we have a good response rate, so please watch for the survey notice and complete it as soon as you can. A third-party vendor is working with us on the survey so look for an email from nccpa@qualtrics-research.com within the next two weeks. This survey is one of the final steps in an 18-month process that will result in a new, more narrow content blueprint for PANRE AND the alternative we will soon pilot. Please note that there are no changes to the blueprint for the 2017 and 2018 PANRE. If you are taking PANRE this year or in 2018, please use the content blueprint to guide your preparation. PA Week is fast approaching, and we at NCCPA are proud to bring attention to the outstanding work of Certified PAs. NCCPA issued a press release last week to alert media that PA Week is next month and to inspire positive articles about Certified PAs. This press release highlights the 50th anniversary of the profession and five of the 50 PAs we are profiling this year on PAsDoThat.net/Celebrate. What are you going to do for PA Week? Check out our Resources Page for a patient flier you can post in your office or place in the waiting room, a presentation you can give to community groups, and press release templates that share the news that you passed PANCE or PANRE or have joined a new practice. Use these tools to educate your patients and to show the world you are proud to be a PA-C.
Then share photos and news of your PA week activities on social media with the hashtags #PAsDoThat and #PAWeek. Get Connected. Make a Difference for Health! PAs are making a difference every day! Connect with the nccPA Health Foundation on Facebook and Twitter to see what “Be the Change” means to your fellow PAs and students, read about PA and student efforts to improve health, and find facts and resources to get inspired to improve health. Then join the Foundation’s more than 50 grantees by getting started on your own project. Learn about our funding opportunities to support your efforts: Together, we make a difference. The PA History Society is collecting 50th anniversary stories and photographs from PAs, PA programs, state and specialty PA organizations, and others, and we will feature those 50th anniversary celebrations on the PAHx website and social media next month. Please send your digital photos and event descriptions to us at: contactus@pahx.org. PA Profession Overview: A Power Point slide presentation featuring major PA events by decade; ready to be shown scrolling on a monitor or screen. PA Profession Timeline 2-Banner set: colorful and informative, these (2) 24”x70” banners are ready for you to print actual size on vinyl for permanent display, or print on paper to frame or use as a handout at your event. 50th Anniversary Poster: A hard-copy of this 24”x36” poster will be mailed to you ready for framing or to be mounted and displayed at your celebration. 50th Anniversary Bookmark: A PDF featuring a 2-sided book mark is ready for printing to distribute as a complimentary give-away at your event. Generic Press Release: A template you can customize and send out to the local press or PA colleagues. Chipper Wallet Standing Cut-out: A PDF ready for printing so that PAs can take their picture with Chipper Wallet, PA-C during your event. Chipper Wallet 50th Anniversary Poster: A PDF of the poster for you to print and frame or mount on foam board to be displayed at your event. For more information on becoming a PAHx Associate, please visit our “How To Support Us” page on the Society’s website at https://pahx.org/how-to-support-us/ or email us at contactus@pahx.org. Read the blog by Donna Sutton PA-C, on how Certified PAs Enhance Hospice and Palliative Care in Physicians Practice. What’s Happening at NCCPA? Check out our new video “August 2017: NCCPA in 60 Seconds!” which portrays just some of the things that happened at NCCPA last month.